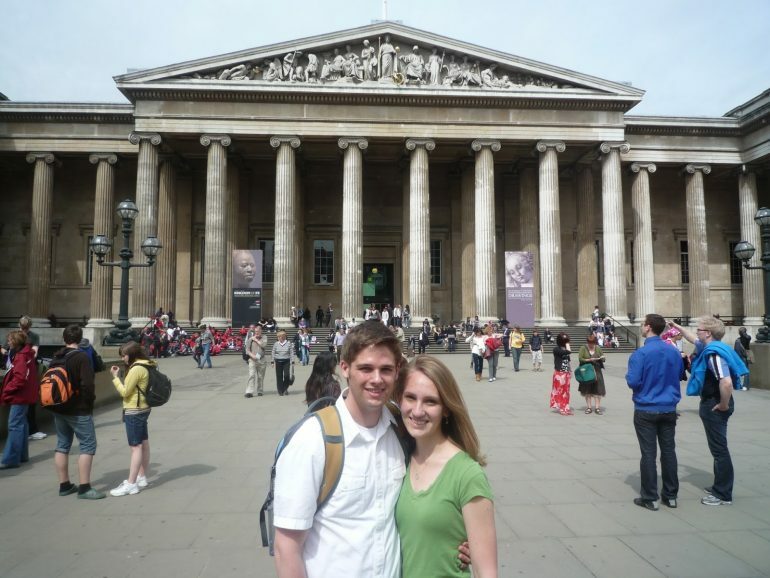 When I was in college, I traveled through Western Europe while studying abroad. I hiked the Alps in Switzerland, visited the British Museum in London and ate Belgian waffles in Belgium — which, by the way, are way better than the Belgian waffles in the U.S. I took a chartered bus with my wife, who was also studying abroad, from Paris to Rome. As you might imagine, I wasn’t thinking about credit cards during that time. No one wants to think about credit cards when they’re traveling. But because I wasn’t thinking about credit cards then, I had to worry about them later. By the trip’s end, I had paid a couple of hundred dollars in foreign transaction fees — which was a lot, considering I was a poor student who didn’t spend much. Find a credit card with no foreign transaction fees. Make sure your credit card will be accepted everywhere. Pay with a credit card — not cash — whenever possible while abroad. These three things won’t take up much time, but they could save you hundreds of dollars the next time you travel internationally. 1. Find a credit card with no foreign transaction fees. When you’re traveling abroad, it doesn’t make sense to use a credit card that charges you an extra 1% to 3% in foreign transaction fees on every international purchase. But, of course, people do it all the time. Even I did it. It’s easy to overlook. That’s why, before you travel internationally, you should take a second look at your cards’ terms. Make sure the ones you’re planning to use don’t charge foreign transaction fees. Even a card with a high rewards rate isn’t worth using abroad if it charges you an extra 3% on every purchase. You can check your credit card’s fees by looking at your monthly statement, which usually includes a Schumer box, the chart where issuers are required to list their rates and fees. Or you could log on to your online account and navigate to the page that lists your card’s terms. If all else fails, call your issuer and ask. While you’re at it, let it know which days you plan to be out of the country. You don’t want to deal with false-alarm fraud alerts when you’re shopping for souvenirs in London. If you don’t have a card without foreign transaction fees, apply for one. If you travel overseas at least once per year on average, you’ll be better off with a travel rewards card that doesn’t charge transaction fees than with a cash-back card, a NerdWallet study found. And if you’re studying abroad, as I was, consider applying for a student card that doesn’t charge these fees, like the Journey® Student Rewards from Capital One®. Alternatively, you could ask your parents to add you as an authorized user to a fee-free credit card. You can also see whether your debit card waives these charges. 2. Make sure your credit card will be accepted everywhere. American Express and Discover still lag in international acceptance. If you want a credit card you can use everywhere, go with a Visa or MasterCard. These networks are larger, and the cards are accepted just about everywhere. At this point, telling you to travel with a card that has an EMV chip might sound old hat. U.S. issuers began transitioning cards to EMV en masse last year, and the majority of U.S. cards now have chips. But it bears repeating: If the plastic you’re planning on using abroad doesn’t have a microprocessor on the front, ask your issuer for an updated card. Some merchants abroad no longer accept magnetic stripe cards, and you don’t want to be caught short in the checkout line. If you want a card that’s accepted even more widely, look for one that’s chip-and-PIN enabled. Certain parking meters, kiosks and restaurants abroad will accept only these cards, which let you authorize payments with a four-digit PIN rather than with a signature, as the standard U.S. chip-and-signature cards do. Most U.S. cards aren’t chip-and-PIN enabled, but these are. 3. Pay with a credit card — not cash — whenever possible while abroad. When you’re traveling abroad, pay with a no-foreign-transaction-fee credit card whenever you can. You’ll be able to get a fair exchange rate every time and earn rewards. Cash might feel like the safe choice, but in reality, it isn’t. If you’re pickpocketed while carrying hundreds of dollars’ worth of currency in your wallet, you’re never going to see that money again. If your credit card is lost or stolen, you won’t be liable for fraudulent charges, and usually your issuer can expedite a new card to your hotel. A backup card could hold you over in the meantime. Opting for cash over credit isn’t just less secure; it can also be more costly. Unless you order the money from your bank or have a no-foreign-transaction-fee debit card and use it at an in-network ATM, you might end up paying high fees and getting a less-favorable exchange rate. And getting cash out of the ATM with your credit card — something I’ve done while traveling — is even more expensive. You’ll have to pay a cash advance fee, in addition to cash advance interest that starts accruing on the day of your transaction. Keep your spending down by setting weekly or daily spending limits and planning out your traveling itinerary ahead of time. Relax … You got this. Though I don’t travel internationally often, I’m considering a trip abroad next year. And when I make my plans, these three rules of thumb will be top of mind, because I don’t want to think about credit cards while I’m on vacation. I’m not counting the points I’m earning on every purchase, or trying to meet a minimum spending requirement and earn a sign-up bonus. You won’t find me paying with a different credit card for every purchase to earn more rewards. That’s just not my idea of a fun trip. If you feel the same way, let me assure you: It’s possible to make good credit card decisions abroad without having to obsess over all these details. Traveling is all about meeting new people, eating new foods and exploring new parts of the world. Making good credit card decisions in the meantime is important — but it doesn’t have to take much effort.